The first time I ever read a Michael Crichton novel, it was Jurassic Park. I bought the paperback version the week it came out, one cold and rainy Friday afternoon following swim practice at our high school. It drizzled hard all weekend and I spent most of it curled up under a blanket in my bedroom, reading Crichton's fascinating tale of outlaw cloning and systems breakdown. I wound up re-reading Jurassic Park five more times after that, prior to the movie coming out a year and a half later. By that time I had also read many other of Crichton's novels, including The Andromeda Strain, The Terminal Man, and Congo (which for some reason I enjoyed even more than Jurassic Park). Over the years I hungrily devoured most of his books as they were released. The Lost World, I eagerly snapped up during my first semester at Elon (and I've always thought that both volumes of Crichton's "Dinosaur Duology" were far better than the movies they spawned). More recently I've enjoyed Timeline and State of Fear, and two years ago I both thrilled and laughed at reading Next, his most recent novel. I had come to relish the thought of a pending Michael Crichton novel: some bold work of fiction that in addition to entertaining, it would have me thinking about some new concept... or old concepts in entirely new ways. That was part of Crichton's gift to not only literature, but the general public's appreciation of science and technology. Not to mention compelling his readers to wrestle with the same ethical questions that happen every day in the realms of research and commerce. Crichton was a much-needed cipher, who helped us come to terms with the world that we were, more often than not, wrecklessly building. And unfortunately, his will no longer be that voice of caution that we would have been wise to heed. 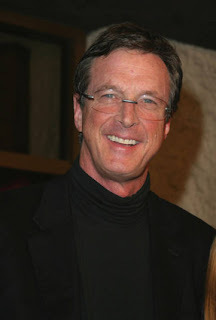 Word broke a short while ago that Michael Crichton has passed away at age 66, following a private battle with cancer. In addition to his novels, Crichton was also a medical doctor who received his degree from Harvard. He was a university instructor and wrote much nonfiction about medicine and travel. And Crichton created the hit television series ER, now in its final season. He will be sorely missed, by his family and friends and his many legions of fans. I like that he wrote about really different subject matter while also weaving in commentaries on things like the modern day media. He had an interesting mind. Sad. My first Crichton book was Jurassic Park as well. I started it on Friday night, and finished it just before seeing the movie on Saturday afternoon. Eaters of the Dead was a fantastic novel, if you have never read it. His reasons for writing it were excellent as well. Death stinks! But it comes to us all, doesn't it? And he directed Westworld and Runaway. I knew Crichton directed Westworld, but I had no idea that he also did Runaway. The man was certainly prolific! When Crichton went to Universal Pictures to see how things were progressing on the film version of The Andromeda Strain, the studio dispatched one of its own to give him the grand tour of the place. The guide in question was a fresh-faced up-and-coming filmmaker who was at the time working on a television movie called Duel. The filmmaker? None other than Steven Spielberg.